McKinney is a city in and the county seat of Collin County, Texas, and the second in population to Plano. The elements that established McKinney as unique from its very beginnings are the same that continue to attract residents, visitors and businesses to our community today. Beautiful tree-lined streets, diverse residential neighborhoods, outstanding educational opportunities, a robust business environment, a charming historic downtown and a strong sense of community make McKinney truly stand out. The unique by nature brand so strongly associated with the city is more than a tagline, it is a commitment that embodies the community's willingness to work together to make McKinney a great place to be. As one of the fastest-growing cities in the nation, residents, businesses and visitors alike show that they strongly embrace the community's vision and strong overall quality of life. Just 30 miles north of downtown Dallas, McKinney is a picturesque city with a small-town feel that is quite different from the Metroplex's urban sprawl. 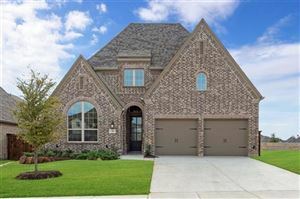 Our friendly charm, green spaces and comfortable pace belie the fact that McKinney, with a population of more than 168,000, is one of the fastest-growing cities in America.